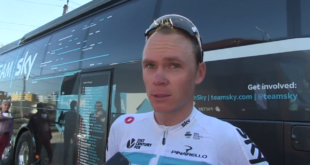 Chris Froome (Team Sky) is happy with the way things have gone this week at the Tour of the Alps 2018. 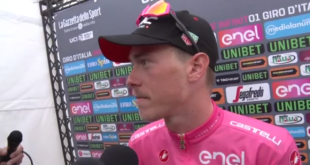 At the end of the five days stage race Froome claims he is satisfied of his shape and his teammates and reveals he’s not feeling uncomfortable about focusing his preparation for May instead of July. 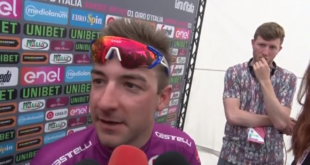 Four times Tour the France title holder spoke about his competitors for the Giro d’Italia win, but he also dealt with his impression about the pretenders and his point of view on the World Championships that are going to take place next September in Innsbruck.